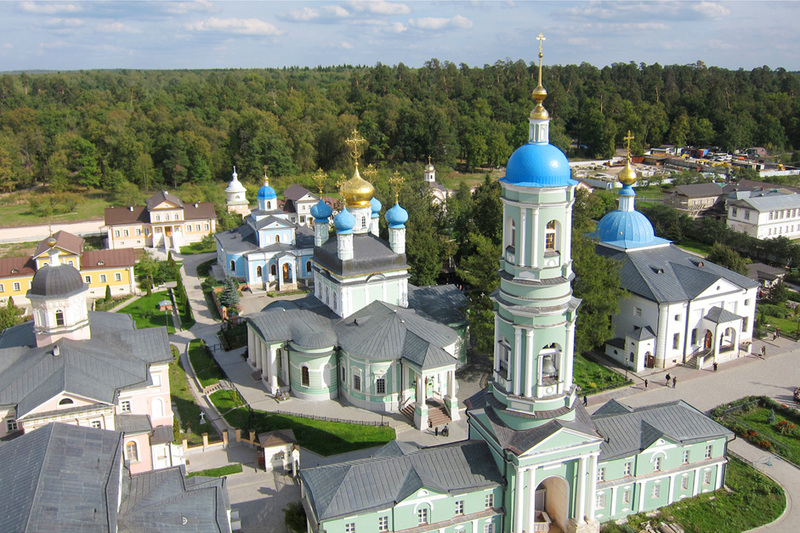 The Optina Pustyn, Kaluga Region - The Optina Pustyn is an Orthodox monastery in about 240 km from Moscow. 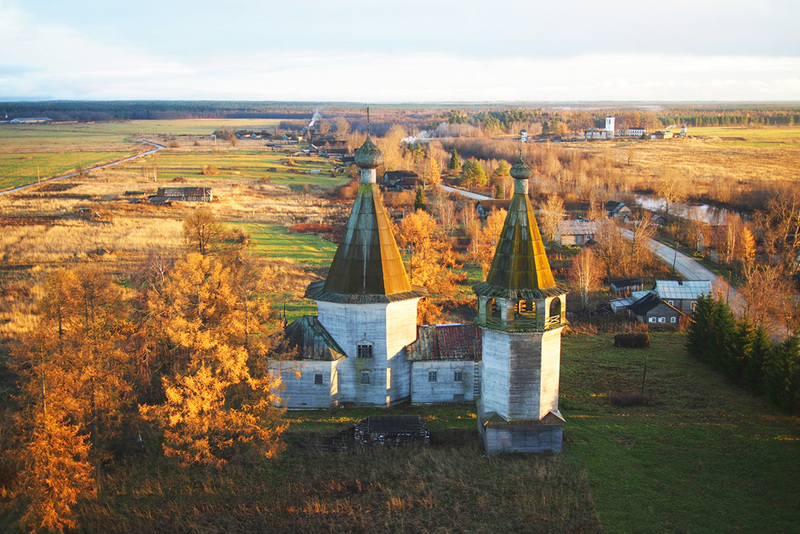 Most of the monastery buildings were erected at the turn of the 18th and 19th centuries.At that time the Optina Pustyn was the most important spiritual centre of the Russian Orthodox Church and served as a model for several other monasteries. 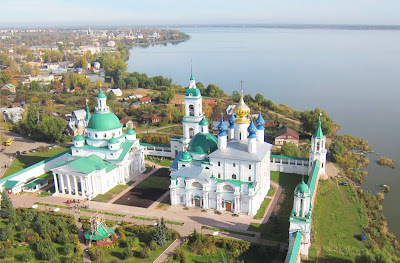 The Spaso-Yakovlevsky Monastery,Rostov, Yaroslavl Region - The Spaso-Yakovlevsky Monastery located on the outskirts of Rostov on the shore of Lake Nero, one of the oldest Russian towns which is situated 210 km to the north east of Moscow. 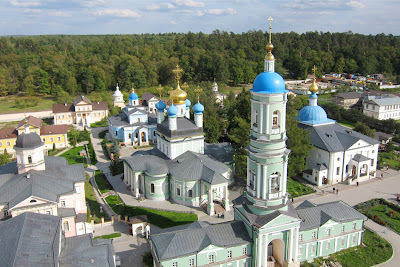 The monastery was founded in the 14th century by St Iakov of Rostov. St Nicholas Chapel, Vershinino, Kenozero National Park - St. Nicholas chapel is sometimes called “the prototype of all Kenozero chapels" and its construction dates back to the XVIII century. The original look of the chapel was a house with a cupola, an open promenade and a high porch. In the middle of the XIX century the chapel was sheathed with boards. The Kirillo-Belozersky Monastery,Kirillov, Vologda Region - The Kirillo-Belozersky monastery which is located in Kirillov on the shore of Lake Siverskoye, was founded at the end of XIV century. Its founder Saint Cyril was a descendant of a noble Moscow Velyaminov family. He underwent a long way from a monk up to archimandrite in the Moscow Simonov monastery, however he refused the high rank and at the age of 60 he came to the White Lake region where he founded a monastery. The Bogolyubovo Convent,Bogolubovo, Vladimir Region - The convent is located in the Bogolybovo village, 13 km north-east of the ancient city of Vladimir. 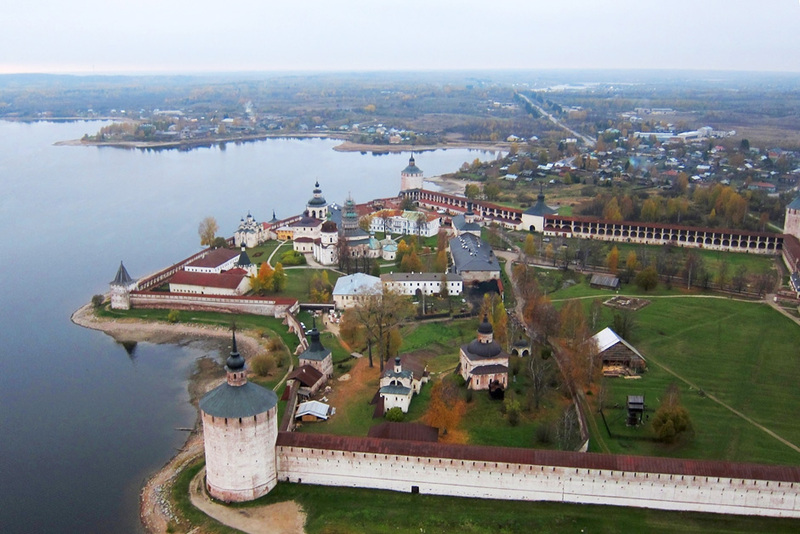 Bogolyubovo was founded by prince Andrey Bogolyubsky in 1158. 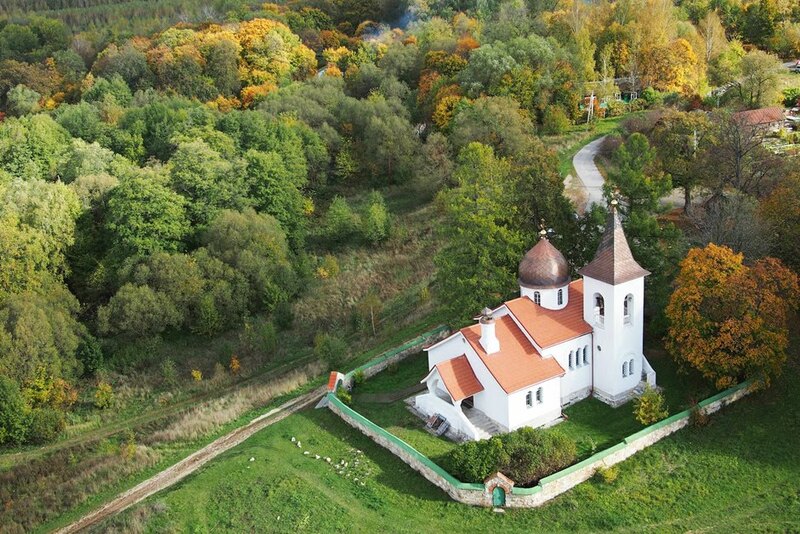 According to a legend, the prince spent the night on this spot and saw Our Lady who ordered him to found the settlement and to build the monastery. 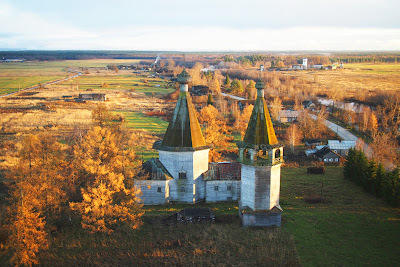 The Church of the Holy Trinity, Polenovo (Bekhovo), Tula Region - The church of the Trinity at Bekhovo (1904-1906) was designed by Vasily Polenov (1844-1927) who was one of the greatest 19th-century Russian landscape painters. 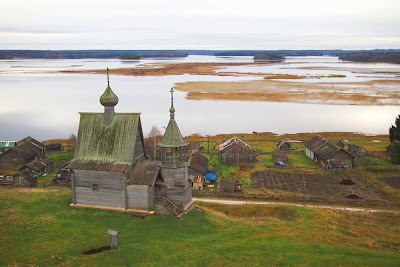 The style of the church was largely borrowed from the architectural traditions of the northwestern regions of Russia of the 12th century. 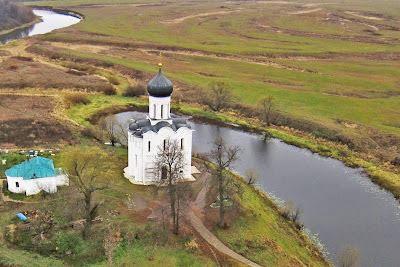 The Church of the Intercession of the Holy Virgin, Bogolubovo, Vladimir Region - The Church of the Intercession of the Holy Virgin on the Nerl River is an Orthodox church and a symbol of mediaeval Russia. 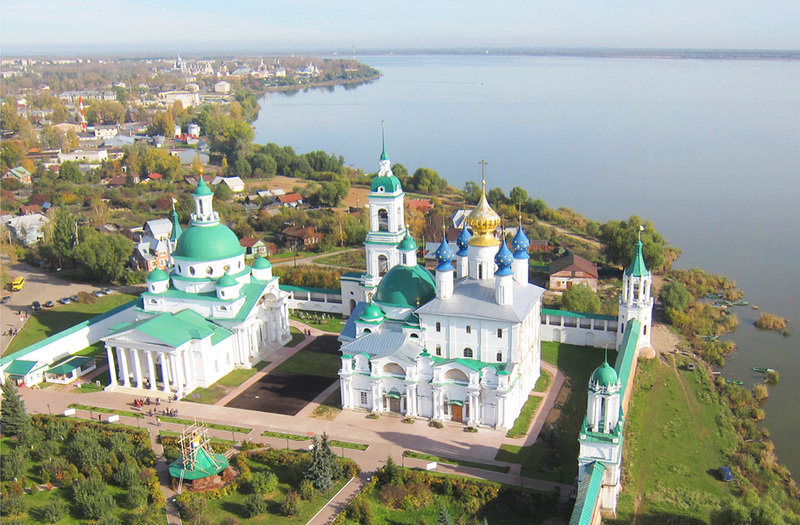 The church is situated at the confluence of Nerl and Klyazma Rivers in Bogolyubovo, 13 km north-east of the ancient city of Vladimir. The church was built in white stone in 1165. 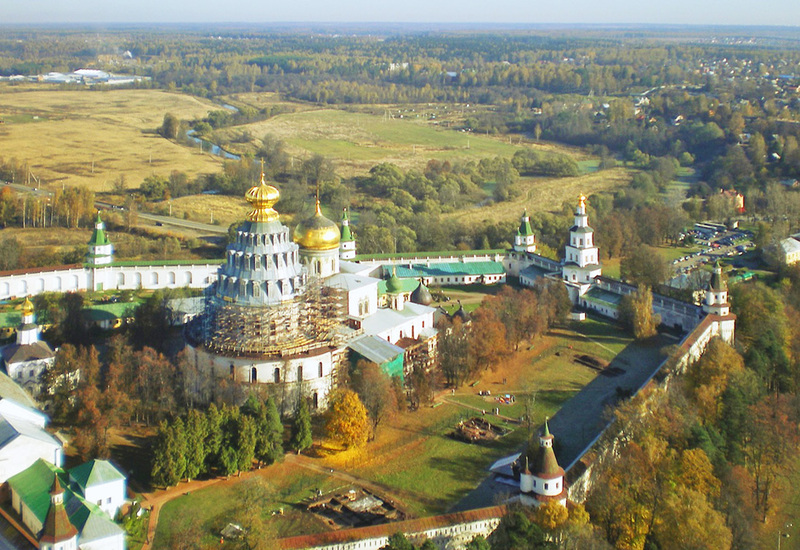 The New Jerusalem Monastery, Moscow Region - The New Jerusalem Monastery is a monastery, located in the town of Istra in Moscow Region, Russia.It was founded in 1656 by Patriarch Nikon and took its name from the New Jerusalem. This site was chosen for its resemblance to the Holy Land. 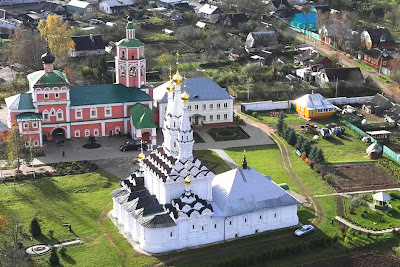 The Convent of St. John the Baptist, Vyazma, Smolensk Region - The Convent of St. John the Baptist is located in the town of Vyazma in 175 km to the south east of Smolensk in the Smolensk Region and stands on the banks of the Vyazma River. First constructions were erected there in the early 16th century. 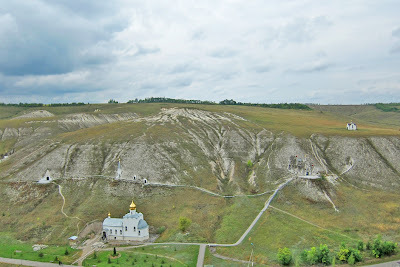 The Svyato-Spassky Convent, Kostomarovo, Voronezh Region - The Svyato-Spassky Convent in Kostomarovo is an ancient cave monastery located in the Voronezh Region on the Don river. 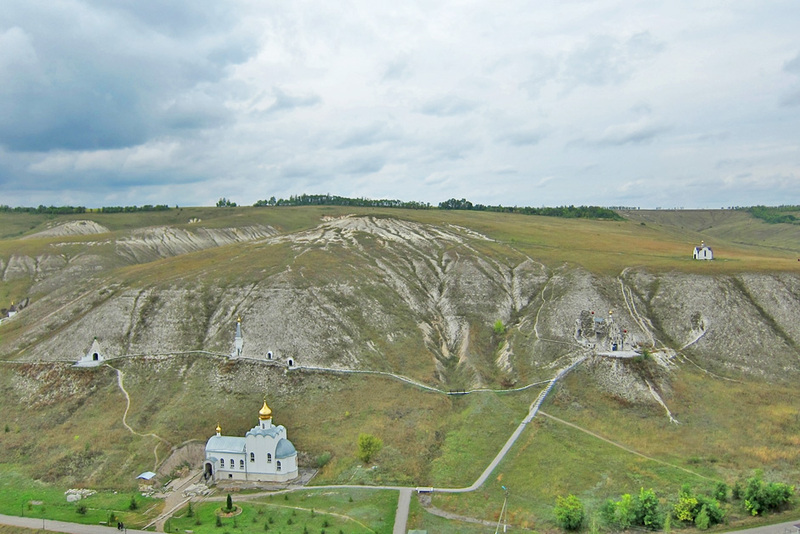 There are two churches in these caves: a big Spassky temple with columns and a small St. Seraphim Sarovsky church. The big underground Spassky temple houses up to 2000 people. 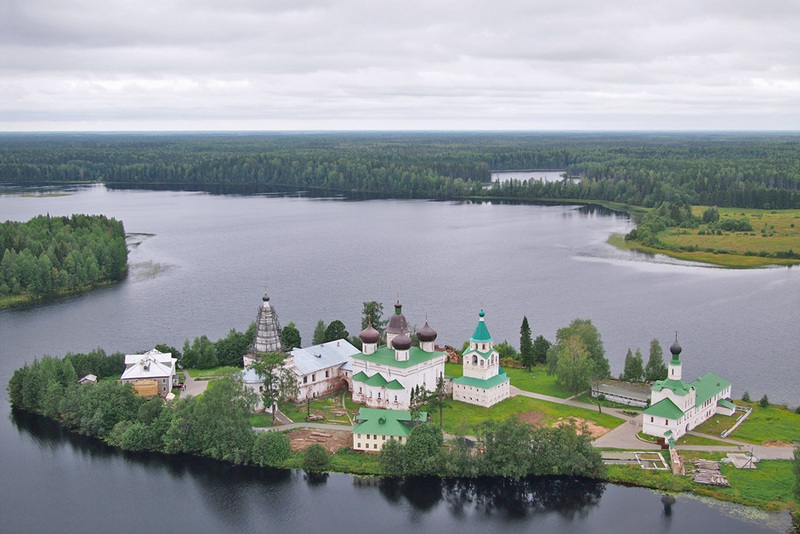 The Antonievo-Siysky Monastery, Arkhangelsk Region - It is a Russian Orthodox monastery located at the distance of 160 km from Arkhangelsk, on a peninsula of Mikhailovskoye Lake. The Siya river, which flows out of the lake, has given the monastery its name.The monastery was founded in 1556 by Saint Antonio, who settled on the island with some other monks. 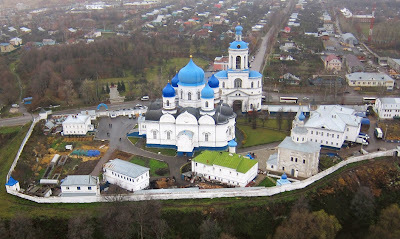 The Borisoglebsky Monastery, Dmitrov, Moscow Region - The Borisoglebsky Monastery of Dmitrov was founded in the 15th century. In the late 17th century a 4-meter high stone wall with round corner towers was built around it. 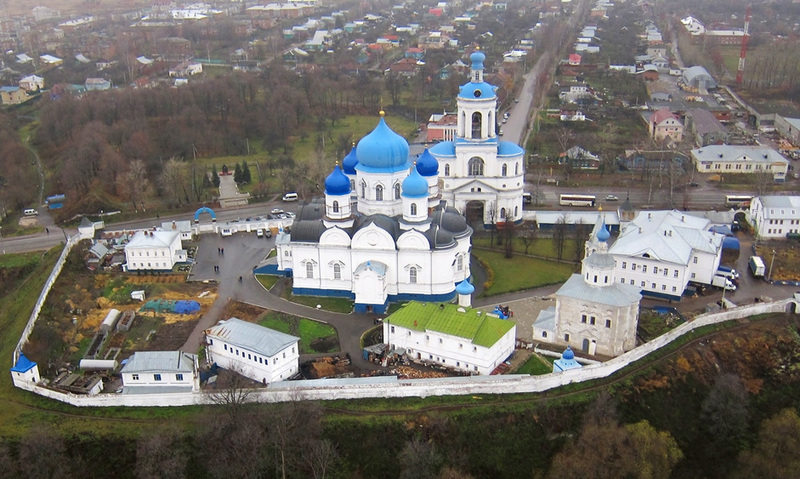 The Boris and Gleb Cathedral, constructed in 1537 became the composition and artistic centre of the monastery. 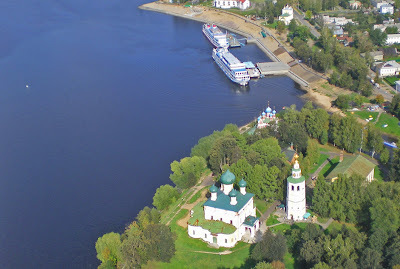 Uglich. The Kremlin, Yaroslavl Region - Uglich is a historic town on the Volga River in Yaroslavl Region, Russia. It was first documented in 1148. 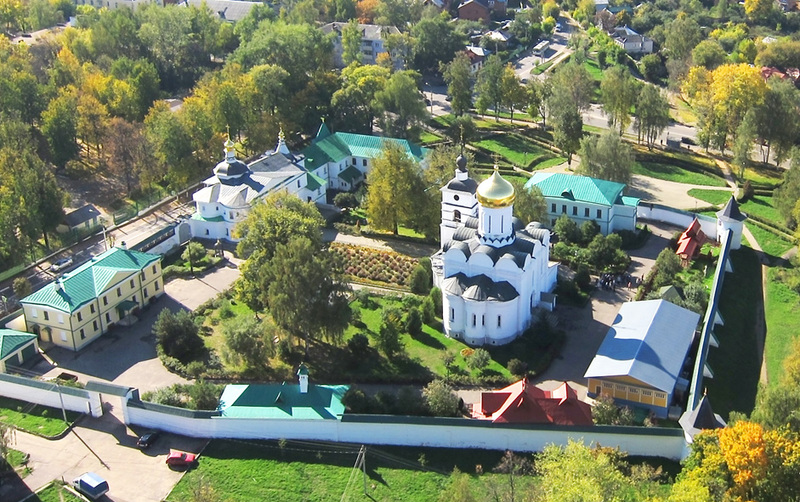 The town's name is thought to allude to the nearby turn (“ugl” in Russian) in the Volga River. The Ferapontov Monastery,Vologda Region - The Ferapontov Monastery in the Vologda region of Russia is considered one of the purest examples of Russian medieval art. 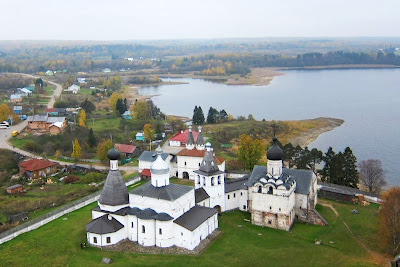 In 2002 the ensemble of the Ferapontov monastery and Dionysius’s frescoes were included into the World Heritage List by the UNESCO.The monastery was founded by Saint Ferapont in 1398 in the Russian North to the east of the Kirillo-Belozersky Monastery, named after his fellow monk, Saint Kirill of Beloozero. The Epiphany Church, Oshevenskoye, Arkhangelsk Region - The village of Oshevenskoe, located in the Kargopol district along the right bank of the Chur'iuga River, developed near the monastery, which was founded by the monk Alexander Oshevenky in 1460. This large village consisted of three hamlets, each with its own name. The Church of the Epiphany presided over the hamlet of Pogost, also a term for the sacred territory of an ancient enclosed cemetery. The Church of the Epiphany, built in 1787.